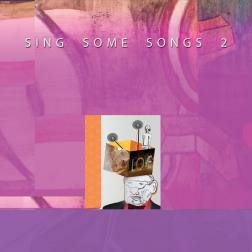 This is the second SINGING album. I appreciate all the great players that I was able to join in with and make some songs. And players that played with some of my songs. There are some beautifully played pieces of music and inspired, to bring forth singing! These are recent Tracks from Sept. 10- Sept. 27, 2016. I had to leave a few out, notably one with WhitePongo/Woodstock and another with Piper/Piper that were recorded during this time frame. Sorry guys and gal! You have a unique sound and take on music that sometimes strays frp,m the norm. That is what makes it enjoyable and I do like jumping in whenever I can, always an honor. A very creative style and presents. Keep em coming! I like the creative side of this work and this mix of styles.